Click here for a PDF of the flyer. This event has been cancelled due to threat of bad weather. Join neighbors, students, faculty, and staff for a day of fun and family-friendly activities at Georgetown Community Day on Saturday, September 15, from 11 am to 1 pm! Now in its sixth year, the event on GU's front lawn is organized by the Georgetown Community Partnership and brings together the university community and the neighborhood community around food, music, games, and fellowship. Festivities include face painting, moon bounces, music, games, and a community picnic with free food. The community fair features tables from local schools, churches, community organizations, government agencies, and university departments with giveaways and information about how you can get involved. We would LOVE to have as many people in attendance as possible so that we can celebrate our community together! 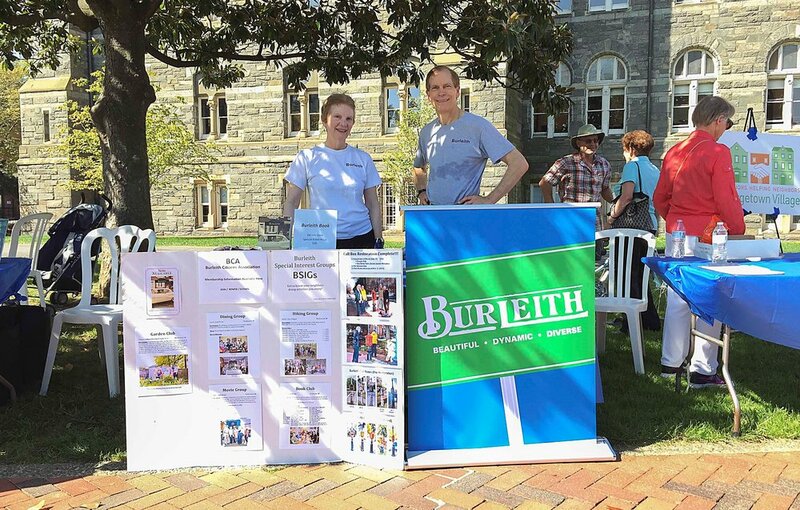 The Burleith Citizens Association will staff a table again this year. Please stop by and learn what's up in Burleith.